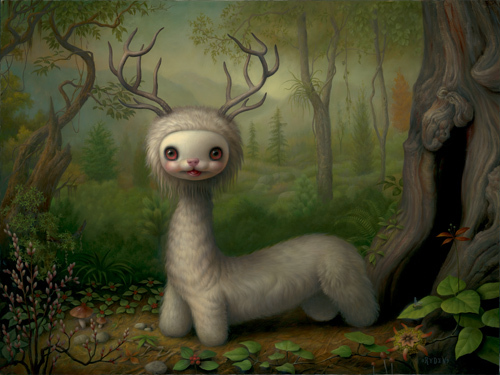 Artist inspiration and artist influences. 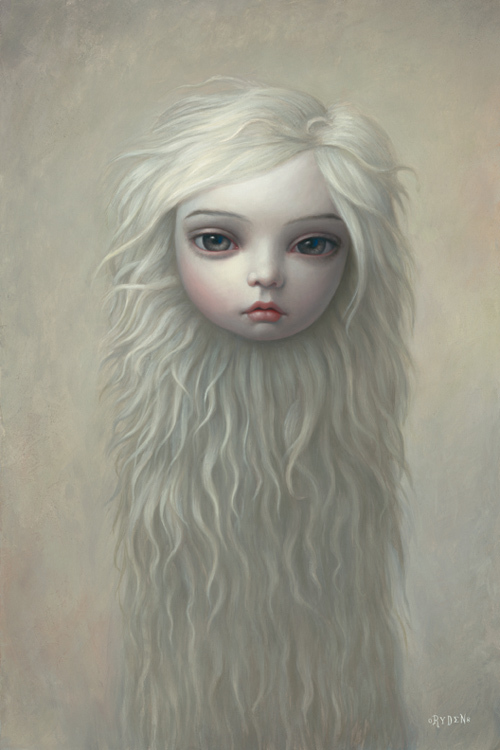 No biographies, dates or scholarly research here - this is a personal response to the work of Mark Ryden by Australian artist Fiona Morgan. 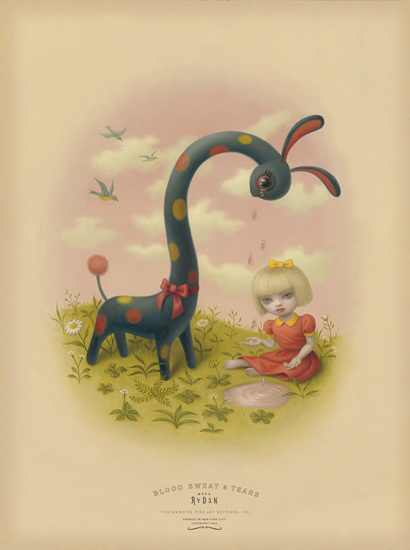 It is said that at times, Mark Ryden paints with a magnifying glass. You can certainly see the fineness of detail in his paintings. They are masterfully polished. While I do not aspire to be this obsessive over detail, I certainly admire the results and the discipline it takes to do this. While there are many fans of classical painting techniques, it seems to me that most of these people are recreating old style paintings as well. 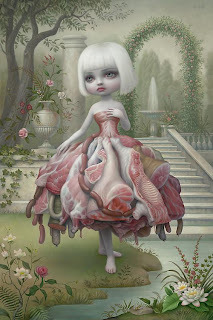 Part of what I like about Mark Ryden's work is his blending of time proven and masterfully accomplished classical painting technique with a very modern outlook. What century are we in anyway? 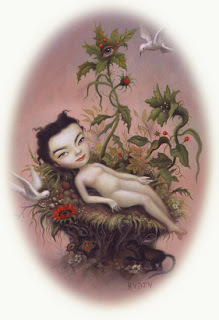 Like Joe Sorren, Mark Ryden's work is considered to be pop surrealism. It's full of contemporary cultural references. To say it's imaginative is an understatement. It's quirky and surreal. It's full of juxtapostitions. There's often a heavy dose of nostalgia and innocence. The bit that I enjoy the most is the way his work references archetypes and myths (a bit of a recurring theme in the art I enjoy). The paintings themselves are beautiful. Full of subtle colour, soft lighting and idealised rendering. He seems to work in themes. Each painting in a show is very strongly linked to all the others and each show is quite distinct to every other show. Although I haven't been to one of his shows, from what I can tell he (or whoever handles his publicity) is masterful at creating hype and getting fans to queue around the block for hours for the privilege of viewing the drama - almost theatre - of one of these tightly themed and immaculately presented shows. It's quite incredible.